From Meadowbrook Dr Go north on Oak Hill Road and West on Rockhill Rd then North on Azteca property on right hand side. From Brentwood Stair Road go South on Oak Hill Road and West on Rockhill Rd then North on Azteca property on right hand side. Hello, I’m interested in 1601 Azteca Drive and would like to take a look around. 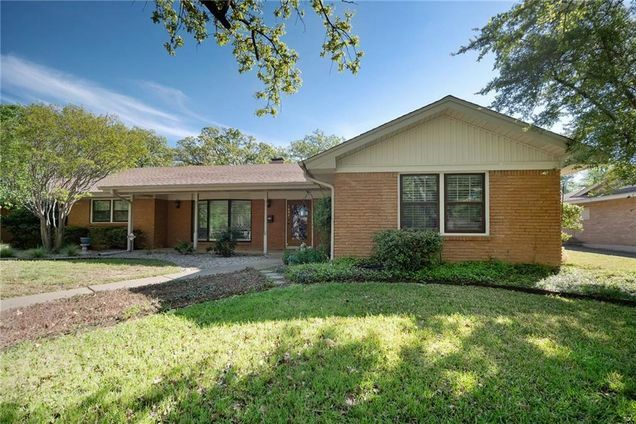 The details on 1601 Azteca Drive: This house located in Eastern Hills, Fort Worth, TX 76112 is currently pending sale for $236,000. 1601 Azteca Drive is a 2,366 square foot house with 4 beds and 2.5 baths that has been on Estately for 8 days. 1601 Azteca Drive is in the Eastern Hills neighborhood of Fort Worth and has a WalkScore® of 28, making it car-dependent. This house is in the attendance area of Eastern Hills Elementary School, Eastern Hills High School, and Meadowbrook Middle School.